Oral Ingestion of Cannabis sativa: Risks, Benefits, and Effects on Malaria-Infected Hosts. “The emergence of a multidrug-resistant strain of Plasmodium falciparum (Pf Pailin) raises concern about malaria control strategies. Unfortunately, the role(s) of natural plants/remedies in curtailing malaria catastrophe remains uncertain. The claims of potential antimalarial activity of Cannabis sativa in vivo have not been well established nor the consequences defined. This study was, therefore, designed to evaluate the effects of whole cannabis consumption on malaria-infected host. Methods: Thirty mice were inoculated with dose of 1×107 chloroquine-resistant Plasmodium berghei ANKA-infected erythrocyte and divided into six treatment groups. Cannabis diet formulations were prepared based on weighted percentages of dried cannabis and standard mice diet and the study animals were fed ad libitum. Chemosuppression of parasitemia, survival rates, parasite clearance, and recrudescence time were evaluated. Histopathological studies were performed on the prefrontal cortex (PFC) and hippocampus of the animals after 14 days’ consumption of cannabis diet formulation by naive mice. Results: There was a significant difference (p<0.05) in the day-4 chemosuppression of parasitemia between the animals that were fed C. sativa and chloroquine relative to the untreated controls. There was also a significant difference in the survival rate (p<0.05) of animals fed C. sativa diet (40%, 20%, 10%, and 1%) in contrast to control animals on standard mice diet. A parasite clearance time of 2.18±0.4 was recorded in the chloroquine treatment group, whereas recrudescence in chloroquine group occurred on day 7. There were slight histomorphological changes in the PFC and cell densities of the dentate gyrus of the hippocampus of animals that were fed C. sativa. [Cannabinoids in multiple sclerosis — therapeutically reasonable?]. “For centuries extracts from the Cannabis sativa plant have been used for recreational use and as remedies. Anecdotal reports from patients with multiple sclerosis (MS) experiencing relief of their spasticity and pain after smoking marihuana have prompted discussions about a potential therapeutic application of cannabis preparations in MS.
Only recently the first large, multicenter, double-blind, placebo controlled study was conducted evaluating the use of cannabinoids for treatment of spasticity and other symptoms related to MS.
Based on this trial and previous uncontrolled observations together with insights from basic research and animal experiments there is reasonable evidence for the therapeutical employment of cannabinoids in the treatment of MS related symptoms. Furthermore, data are arising that cannabinoids have immunomodulatory and neuroprotective properties. “The force of the recent explosion of largely unproven and unregulated cannabis-based preparations on medical therapeutics may have its greatest impact in the field of neurology. Paradoxically, for 10 millennia this plant has been an integral part of human cultivation, where it was used for its fibers long before its pharmacological properties. With regard to the latter, cannabis was well known to healers from China and India thousands of years ago; Greek and Roman doctors during classic times; Arab doctors during the Middle Ages; Victorian and Continental physicians in the nineteenth century; American doctors during the early twentieth century; and English doctors until 1971 when a variety of nonevidence-based remedies were removed from the British Pharmaceutical Codex. The clinical data on cannabis therapeutics are meager and the vast majority are formed by surveys or small studies that are underpowered and/or suffer from multiple methodological flaws, often by virtue of limited research funding for nonaddiction-focused studies. Thus, we know relatively little about the clinical efficacy of cannabinoids for the various neurological disorders for which historical nonscientific and medical literature have advocated its use. The relative scarcity of proven cannabis-based therapies is not due to data that show that cannabinoids are ineffective or unsafe, but rather reflects a poverty of medical interest and a failure by pharmaceutical companies arising from regulatory restrictions compounded by limits for patent rights on plant cannabinoid-containing preparations that have been used medicinally for millennia, as is the case for most natural products. 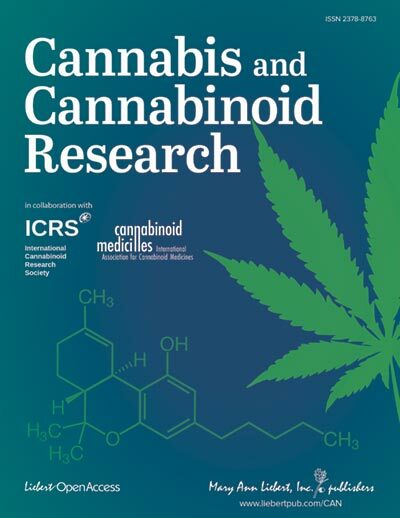 We hope that this issue of Neurotherapeutics will serve to mark the bounds of verifiable scientific knowledge of cannabinoids in the treatment of neuropsychiatric and neurological disorders. At the same time, our contributors have also helped identify areas for future research, as well as the strategies needed to move our base of knowledge forward. Cannabis has long been known to limit or prevent nausea and vomiting from a variety of causes. This has led to extensive investigations that have revealed an important role for cannabinoids and their receptors in the regulation of nausea and emesis. With the discovery of the endocannabinoid system, novel ways to regulate both nausea and vomiting have been discovered that involve the production of endogenous cannabinoids acting centrally. Nausea and vomiting are frequently debilitating conditions that require substantial effort and cost to manage. “For centuries extracts from the Cannabis sativa plant have been used for recreational use and as remedies. Anecdotal reports from patients with multiple sclerosis (MS) experiencing relief of their spasticity and pain after smoking marihuana have prompted discussions about a potential therapeutic application of cannabis preparations in MS. Furthermore, data are arising that cannabinoids have immunomodulatory and neuroprotective properties. However, results from clinical trials do not allow the recommendation for the general use of cannabinoids in MS.
“Given the many challenges involved in raising an autistic child, parents are willing to try a variety of potential remedies, many of which are controversial and unproven. But one potential treatment that has gained attention recently is one that was controversial well before its first mention in connection with autism. “”Within hours, he requested foods we had never seen him eat before,” said Hester-Perez. She added that her son used to take a cocktail of medications, three times every day, for his condition. He now takes only three, and he has a marijuana brownie once every two or three days. He still cannot communicate verbally.